The past few morning while walking my daughter to school you easily notice that the temperatures are changing a bit. Did you notice it this past week where you live? It only means one thing FALL is on it’s way soon! Tuesday, September 23 is the official first day of Fall. Follow The Educators’ Spin On It’s board Fall Projects to Make and DO on Pinterest. 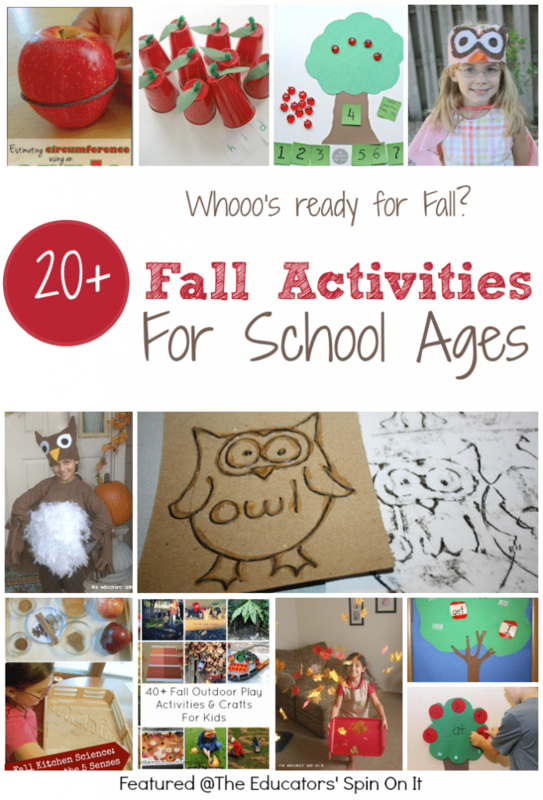 What are you planning to do this fall with your child? Tell us in the comments below. That owl apron is adorable! We love fall too, even though we have to pretend quite a bit down here in Florida. So glad to be able to feature your ideas Jacquie, thanks for sharing this with us each week! And yes we do have a slight obsession with owls…they are so cute! I am SO ready for fall! 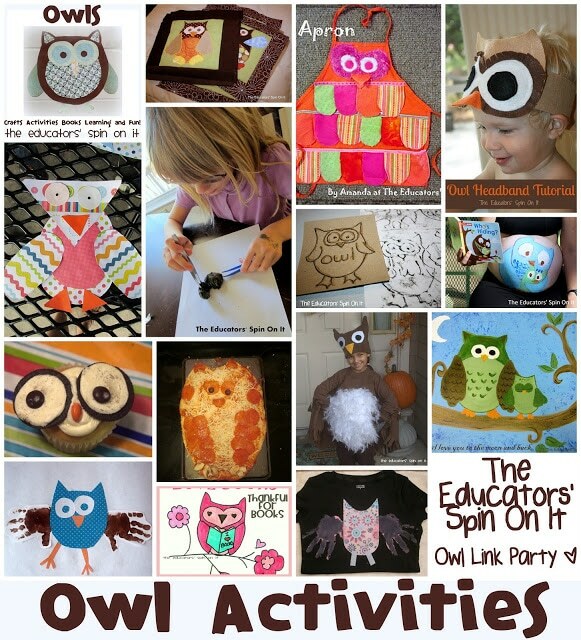 Love all these ideas especially the owl ideas! This owl round up is terrific. Thanks for co-hosting after school!